Originating in the 1970s, multi mode fiber started out with light-emitting diodes as their light sources. Today’s multi mode fiber is mostly used for communications over shorter distances, making it ideal for use on campuses or within single buildings. Data rates of 10 Gbps over distances of 300 meters are achievable. cable installation for your needs. Multi mode fiber has a core diameter of 50 to 100 microns, versus 8.3 microns for single mode fibers. It therefore has greater light-gathering capability than single mode fiber. The larger core size also simplifies connections and allows use of LEDs and other lower-cost electronics, rather than more expensive laser sources in some applications. LED light sources with multi mode fibers produce many wavelengths, and this can limit the useful length for multi mode cable compared to laser-driven single mode fiber. But multi mode fiber meets many needs and is more cost effective than single mode fiber. With high reliability and capacity, multi mode fiber is the fiber of choice for premises backbone applications. In some cases, fiber is run directly to the desktop. Some architectures allow organizations to centralize electronics in telecommunications hubs rather than having active electronics on each floor, and this can cost-effectively optimize use of multi mode cable. Ring and Ping has extensive experience designing and installing multi mode cable infrastructure, and we’re committed to structuring installations to unique client needs. Our priorities are top-quality materials and installation, efficiency, and cost effectiveness. We do the utmost to maximize the usefulness of your multi mode installation today while maximizing your expansion options for the future. Plus, we offer a 10-year warranty on all our installations. 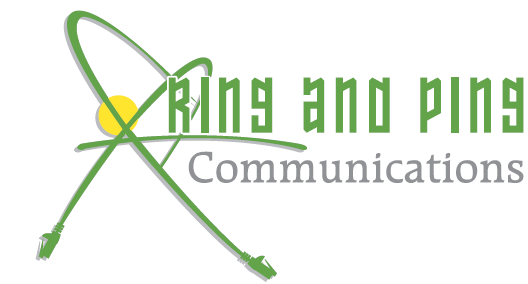 If your organization is considering multi mode fiber installation, why not contact Ring and Ping online or call us at (877) 841-9240. We can show you exactly why our customers consistently give us outstanding testimonials.